Regardless of its size, a boiler room presents potential significant risks. Actually, a gas leak could have severe consequences for people and goods. Installing a boiler room gas detection system is an efficient and simple way to reduce these risks. Most of gas boiler rooms run without permanent monitoring and a gas leak could stay unnoticed. Boiler rooms gas detection controllers mainly remove these risks triggering valve actuators. 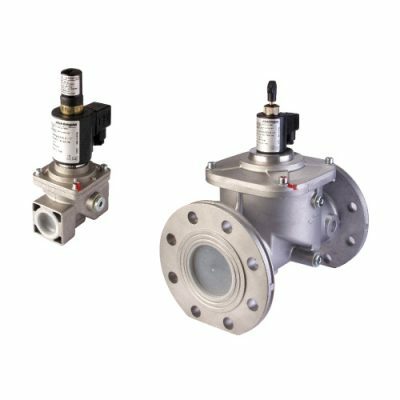 In presence of any flammable gas detection (liquefied petroleum gas or natural gas), a controller will shut down gas supply with a gas solenoid valve installed outside the boiler room. Bigger gas detection systems for boiler rooms are regulated under specific laws but common sense implies same boiler room safety regulations for smaller boiler rooms. For gases that are lighter than air – such as methane – the detector will be placed above the burner. For gases heavier than air – such as butane or propane – the detector will be placed below the burner. For optimal boiler room gas detection, an additional detector shall be placed at an upper point in boiler rooms with high ceilings (beyond 3 meters). It can also be placed in the extraction system to have twin detection (burner and ceiling) regardless of the number of burners (furnace). 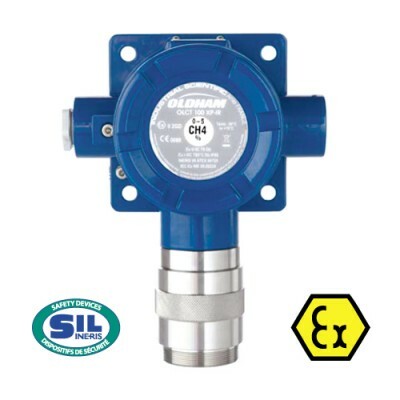 SIL 2 approved ATEX gas detector to detect the combustible gases (IR or catalytic), CO2 (IR), toxic gases (electrochemical), solvents or freons (semiconductor) and asphyxiating gases (oxygen deficiency). Thanks to the wide variety of sensor technologies that can be used with this monitor, the OLCT100 fixed gas detector can detect a large range of gases. The combustible gases can be detected with a catalytic or infrared sensor, toxic gases with an electrochemical sensor, freons with a semiconductor sensor and carbon dioxide with an infrared sensor. 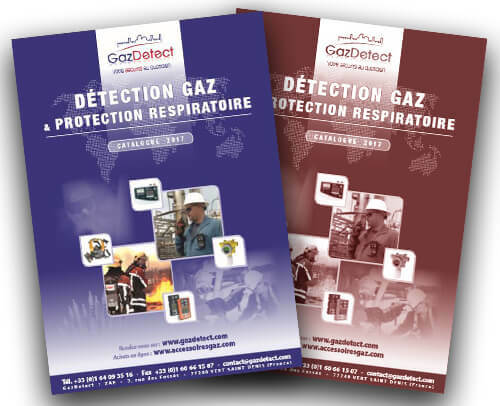 Two outputs types are available for this fixed gas detector range. The first one is the 4-20 mA analog output. It can be used to detect combustible, toxic and asphyxiating gases but also solvents, freons or carbon dioxide. The second output version is a Wheatstone bridge for the detection of combustible gases (0-100% LEL only). Many accessories are available for the OLCT100 gas detector to improve sensor response time or to get optimal implementation. OLCT 100 XP: Explosion-proof version equipped with a catalytic, electrochemical or semiconductor sensor to detect the combustible or toxic gases or oxygen. OLCT 100 IS: Extremely reliable version to detect toxic gases or oxygen. 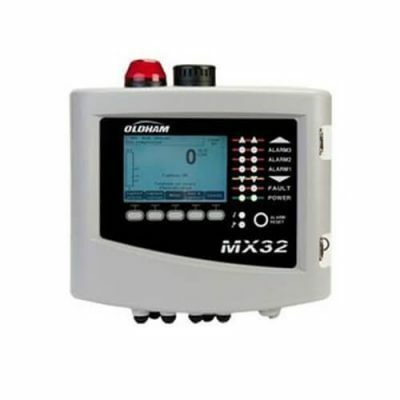 The MX32N digital gas controller is a digital controller and alert management device. As it can be linked to 8 detectors, the MX32N allows monitoring of hazardous gases (combustible, toxic or asphyxiating) in the most demanding environments. Two-in-one detector: digital and analog. 1 or 2 independent channels. Continuous monitoring of hazardous gas. 5 alarm thresholds (sound and visual alarms). Gas detection controller with 4 or 8 analog and/or digital channels (up to 32 detectors allocated to 8 channels) for monitoring gases in the atmosphere. Especially designed to be flexible, versatile and easy to use, the MX 43 gas detection controller is an analogic and digital controller that allows up to 32 detectors to be distributed on 8 lines. Because of its digital technology and its 8 measuring lines, the MX 43 gas detection controller enables cost savings when wiring a fixed gas detection system. This way, it can combine digital lines and analog channels to fit in any installation type. Its large graphic backlit LCD display is fully customizable by the user and can simultaneously display from 1 to 16 channels. The smart keys enables to navigate the intuitive menus and easy operation. This gas detection controller is available both in wall-mounted version or rack version and is made to manage any 4-20 mA or digital contact signals in order to control a whole installation. 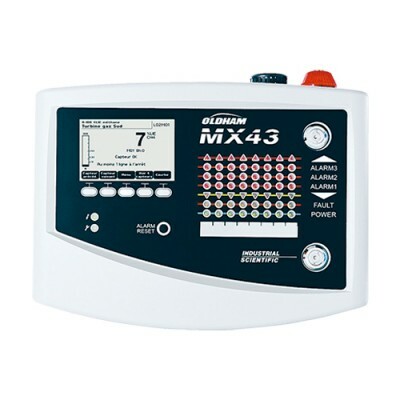 Moreover, as it is fully configurable by the user with the dedicated COM 43 software, the MX 43 gas detection controller enables operators to reach advanced functions and easier and faster setup. It is yet highly recommended to firstly follow a specific training before using this computer embedded application. Its integrated datalogger can store up to 512 events. Furthermore, thanks to a dedicated USB port, the MX 43 can also record data with a frequency from 2 seconds up to 15 minutes. The provided 4GO USB stick offers a storage capacity for 2 years in almost any configurations. This stick enables real-time recording of every event but also to automatically save the device configuration and internal software. This multichannel gas detection controller is IP 55 approved in wall mounted version and IP 31 approved in rack version. It features 5 alarm levels, 5 fully programmable alarm relays and one fault relay and an audiovisual alarm (integrated beacon and siren).